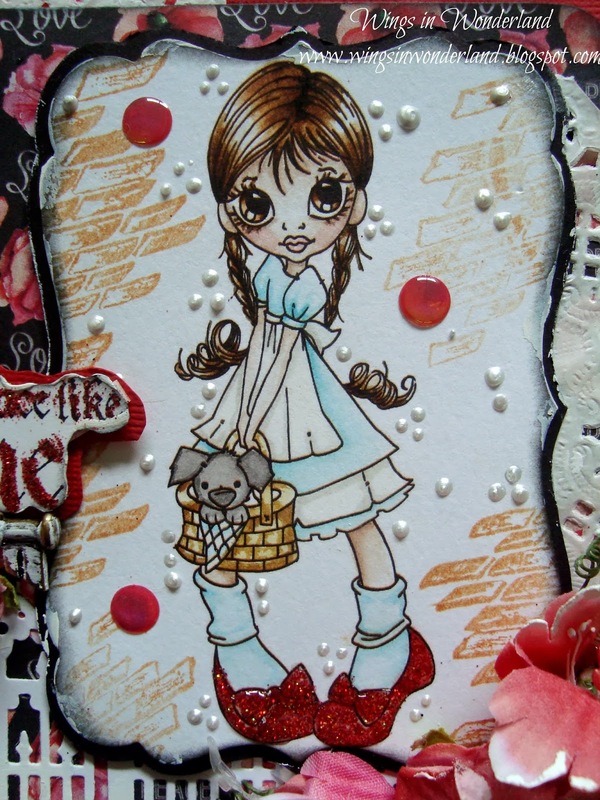 Just a quick post from me this week to share with you my latest card. 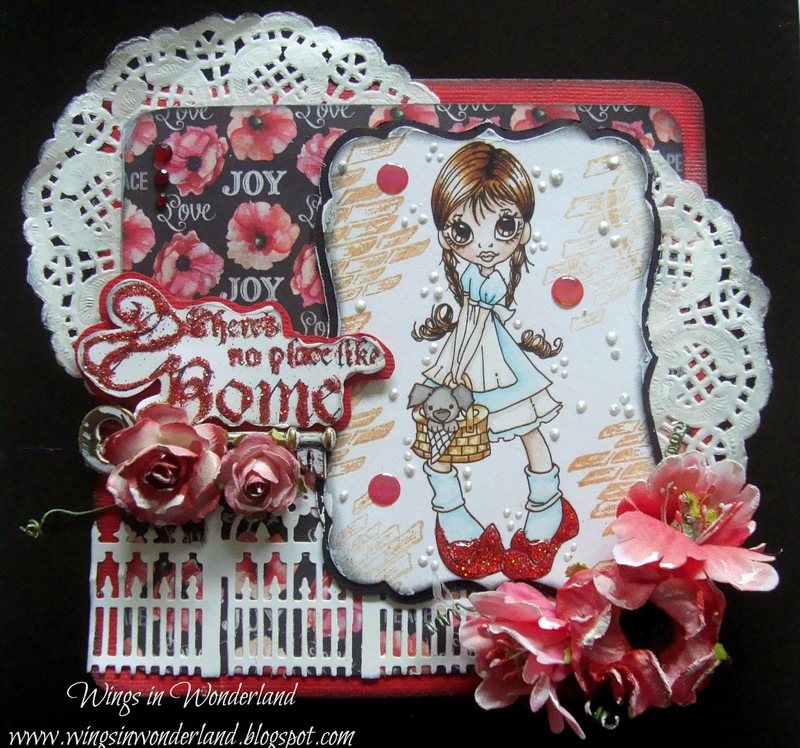 My inspiration was the Prima Optimist paper with all of these beautiful poppies, it just reminded me so much of Dorothy in the Wizard of Oz. Its hard to see in the photos but Dorothy's ruby slippers are actually very 3d and shiny, To get this look I mixed some ruby Martha Stewart glitter with Stickles ....... and then added glossy accents, I did two layers of this and I really like how they turned out. Here is a little collage of the flowers I have used, a couple have been sprayed and glittered and all have been distressed with some gesso! 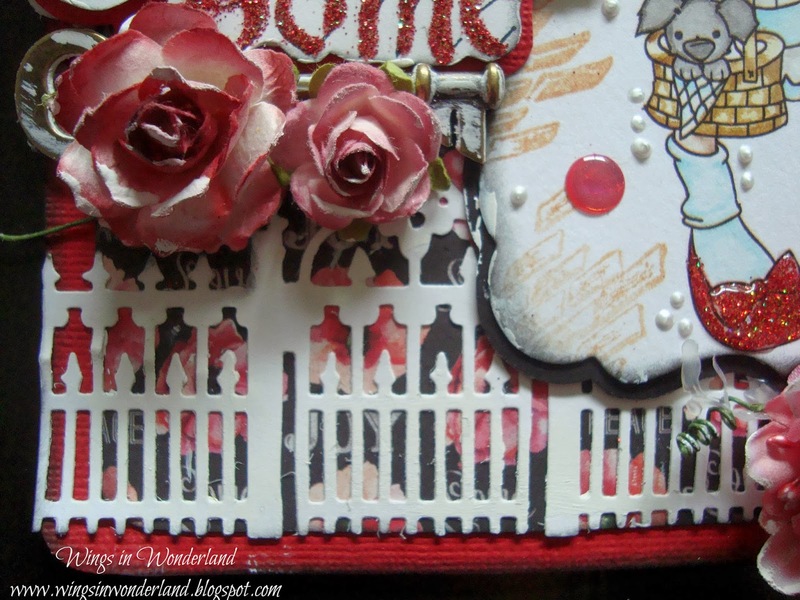 This cute little picket fence is the Sizzix Iron work gate, its actually about 12 inches so is very versatile and can be used on 12 x 12 layouts too. Well that's it from me, I hope you all have a fantastic weekend. Products I used this week.